The winning illustration by Daryl Stephenson. May 15, 2011 (Cary, NC) – Cris Cohen of Cary, NC, the author of the upcoming humor book “Staying Crazy To Keep From Going Insane,” has announced the winner of an illustration contest he recently conducted on the book’s website at www.stayingcrazy.com. Cohen’s book is due out this fall with proceeds from sales going to a local baseball league for kids with special needs, including Cohen’s own son, nine-year-old Max. It will be a collection of humor columns he wrote for several newspapers when he lived in California, plus new ones he’s written since he and his family moved to Cary, NC, in 2008. 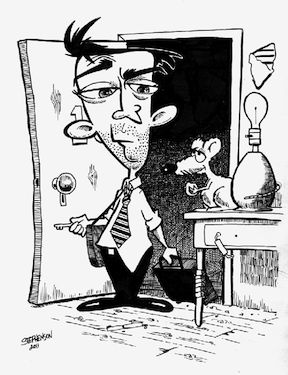 Stephenson's illlustration will be published in Cris Cohen's book.Cary in 2008. Cohen, who also writes the humor blog “Nothing In Particular” and a humor column for CaryCitizen.com, invited artists and wanna-be artists to illustrate a particular column that will be in the book entitled “Charming.” In the column, Cohen makes fun of an experience he had at a not-so-charming hotel, which was, nonetheless, advertised as “charming.” The winning illustration will be published in the book alongside the column. 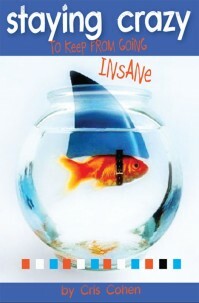 For more information on Cris Cohen and “Staying Crazy To Keep From Going Insane, visit www.stayingcrazy.com. For more information on the winning illustrator, visit www.darylstephenson.com. writer for television commercials and print campaigns for two decades, Allen Weiss of Raleigh, NC, has gone back to his roots and reintroduce still photography to his career. 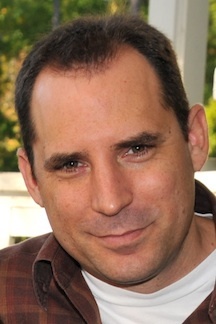 As a result, he has launched a new website, Allen Weiss: Works on Film & Paper, at www.allen-weiss.com. Weiss began his career as a professional photographer in Raleigh and New York. In New York, he studied under and worked for world-renowned portrait photographer Arnold Newman. In the early ‘90s, his career veered into directing and shooting television commercials throughout the US, Canada and Europe. The new website includes a limited sampling of TV commercials and public service announcements, on film and video, that Weiss has shot and directed. The samples range from Southern States and the NC Symphony to the Bank of Belgium. A link to Vimeo lets visitors view more spots. The site also showcases Weiss’ still photography, including the artists images in the Hansley Gallery show and other photographic portraits (including a rare image of Arnold Newman and Robert Doisneau mugging for the camera together), along with motorsport images he’s shown at L’art et L’automobile in New York City. He will be adding other types of still photography in the future, include architectural and interior design. For more information and to see Weiss’ new website, go to www.allen-weiss.com. After 15 years as a professional photographer in Raleigh and New York, Allen Weiss turned his attention towards short films, public service announcements and television commercials, both regionally and internationally. 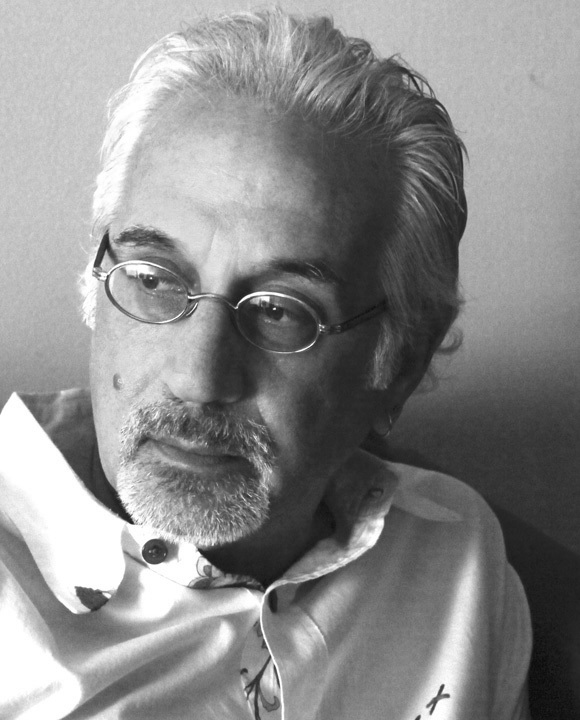 Recently, he launched Allen Weiss: Works on Film & Paper to offer still photography of all varieties, film and video (director, cameraman), and freelance writing/branding. For more information visit www.allen-weiss.com.